The development of new medicine is problematic because laboratories cannot replicate the human body's environment, making it difficult to determine how patients will respond to treatment. 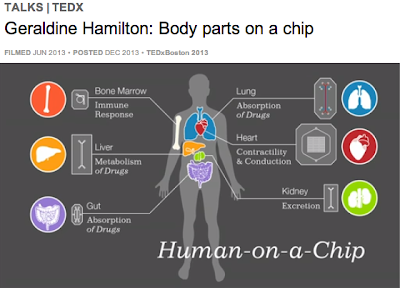 At TEDxBoston, Geraldine Hamilton demonstrates how scientists can implant living human cells into microchips that mimic the body's conditions. These "organs-on-a-chip" can be used to study drug toxicity, identify potential new therapies, and could lead to safer clinical trials. A cross-disciplinary team of researchers at the Wyss Institute for Biologically Inspired Engineering at Harvard University are mimicking life-threatening conditions in microchips that are lined by living human cells. These 'organs-on-a-chip" can be used to study drug toxicity, identify potential new therapies, and open up a whole new way to think about clinical trials. 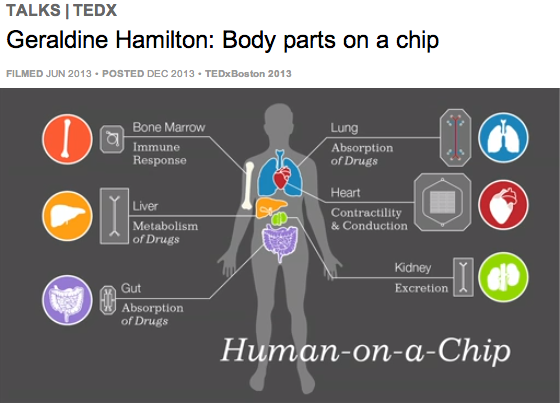 Geraldine Hamilton builds organs and body parts on a chip -- to test new, custom cures. Geraldine Hamilton’s career spans from academic research to biotech start-ups to pharma. Her research focus has been on the development and application of human-relevant in-vitro models for drug discovery. She was one of the founding scientists, VP of Scientific Operations and Director of Cell Products, in a start-up biotech company (CellzDirect), that successfully translated and commercialized technology from academic research to supply the pharmaceutical industry with hepatic cell products and services for safety assessment and drug-metabolism studies. Hamilton received her Ph.D. in cell biology/toxicology from the University of Hertfordshire (England) in conjunction with GlaxoSmithkline, followed by a post-doctoral research fellowship at the University of North Carolina. 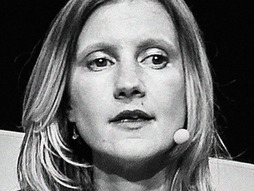 Her current research interests and prior experience include: organs on-a-chip, toxicology and drug metabolism, liver cell biology, mechanisms regulating gene expression and differentiation, regulation of nuclear receptors and transcriptional activation in hepatocytes by xenobiotics, human cell isolation and cryopreservation techniques.